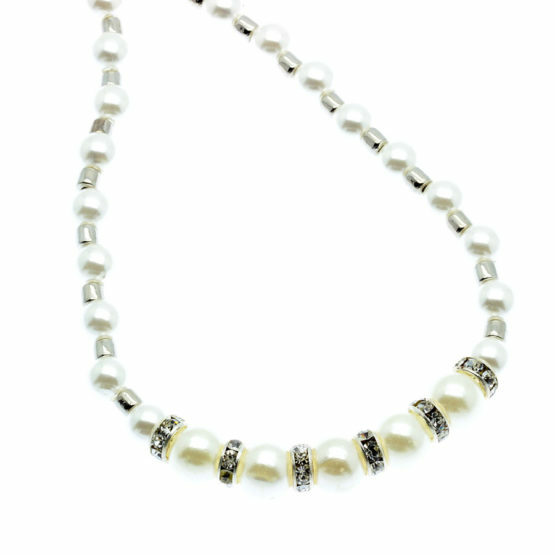 Choker made with acrylic pearl and silver tone beads. Finished with silver tone chain. Lobster clasp. 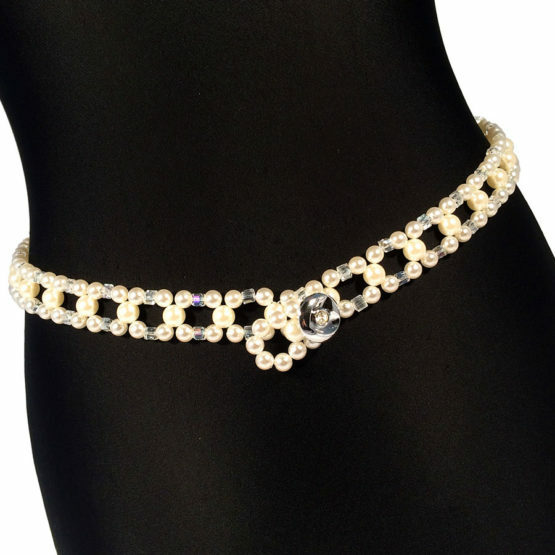 Choker ideal for brides. 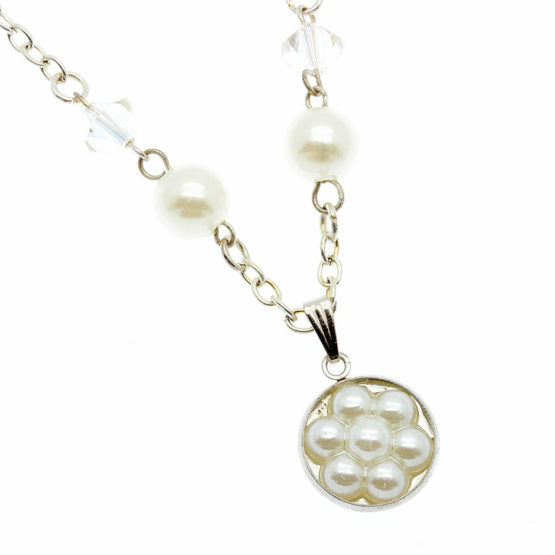 Pearl and silver tone necklace with rhinestones. 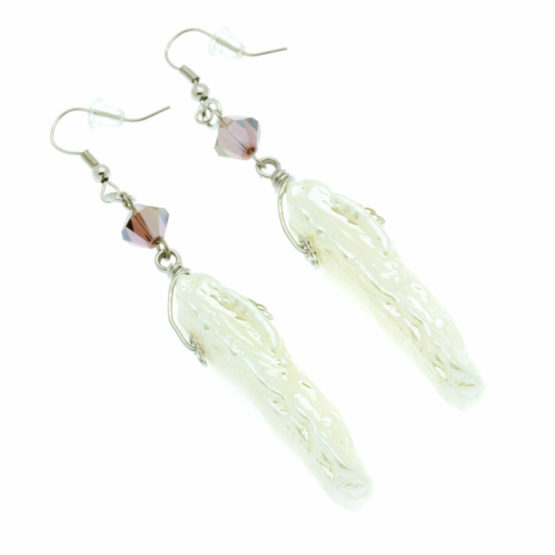 Made with acrylic beads in pearl and silver tone. 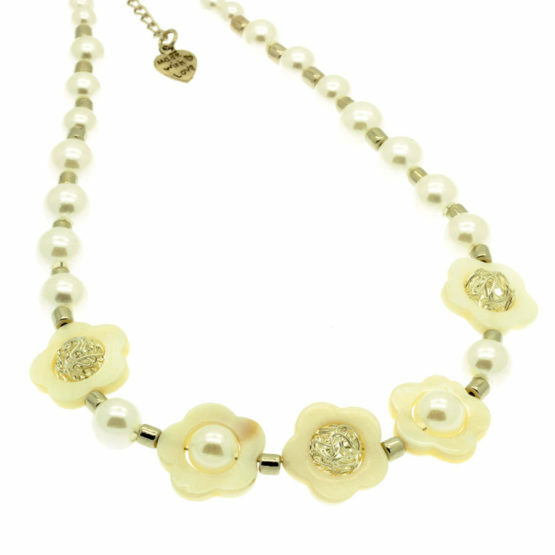 The center of the necklace is assembled from the same material as the necklace and also with shiny metal spacers full of rhinestones. 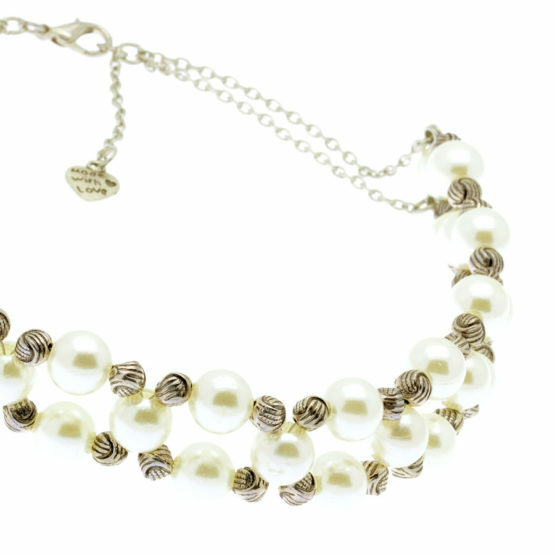 Pearl and silver tone necklace. 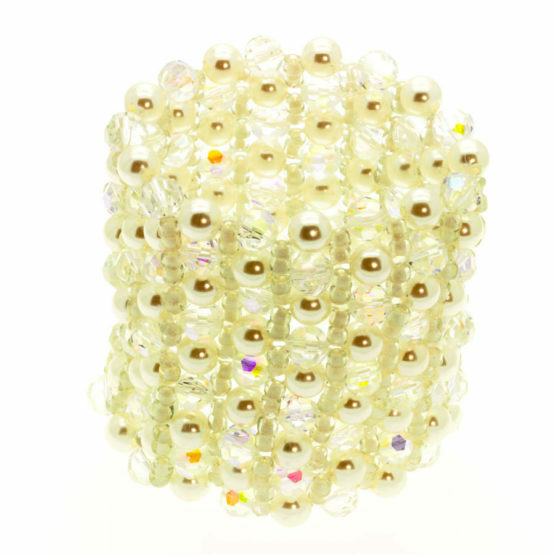 Made with acrylic pearl beads in and silver tone metallic beads. The center of the necklace is made from the same material as the necklace.